Nine by-election contests to report this week, and some intriguing results. 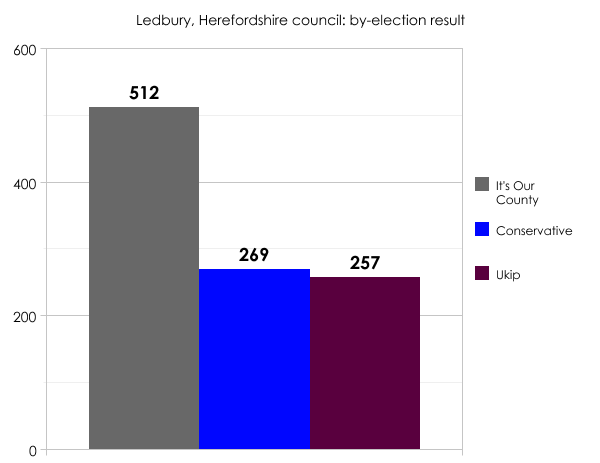 Ukip were defending two seats – and lost both of them. One was on Cornwall council. The result represents a swing to the Conservatives from Ukip of 5.5%. Both the Tories and Liberal Democrats will be pleased with their performance, though the Lib Dem candidate will be furious they missed out by the tiniest of margins. 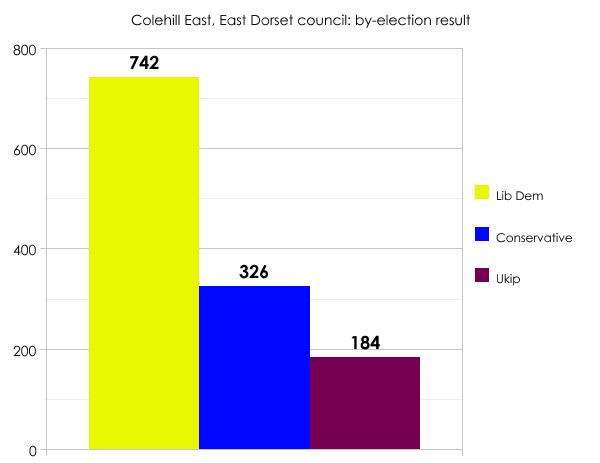 The strong showing by the Lib Dems and the poor effort by Ukip mirrors the trend seen in last week’s Cornish result. 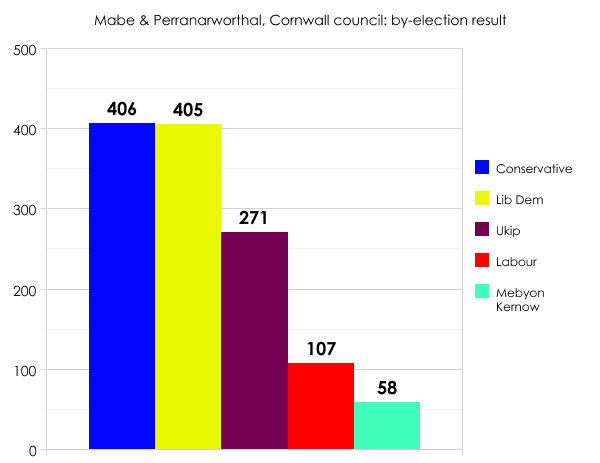 But as per last week, the outcome makes no difference to the balance of power on the 123-seat Cornwall council, which is run by a coalition of Lib Dems and independents. 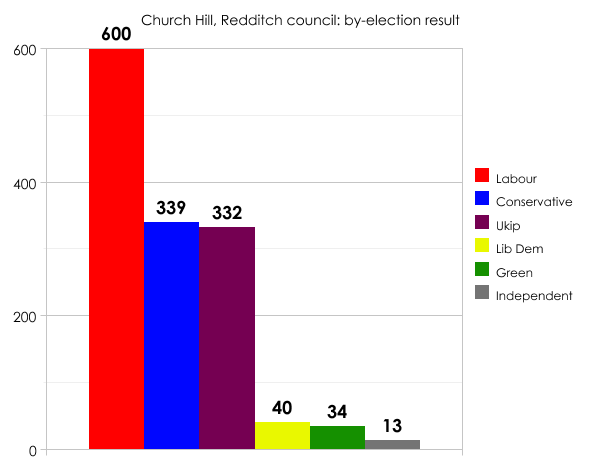 Ukip’s other loss came on Redditch council. Ukip only won the seat in the local elections two months ago, but their councillor Dave Small was suspended almost immediately over claims he made racist and homophobic remarks on Facebook. Small resigned from the council a week later. The result increases Labour’s majority in Redditch from five to seven. 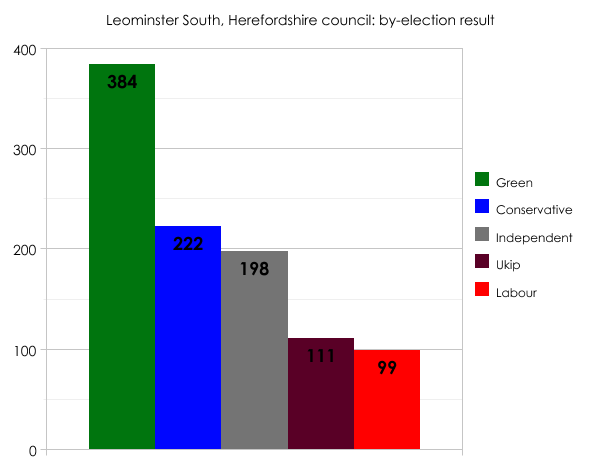 The Conservatives also lost two seats on Thursday, both on Herefordshire council. It was a bad outcome for the Conservatives, as it means they are no longer in overall control of the council. The Tories had previously held exactly one half of the council’s 68 seats, relying on the chair’s casting vote to push through its policies. It’s Our County now has 12 councillors. Its leader Mark Hubbard has already ruled out doing any kind of deal with the Conservative group. 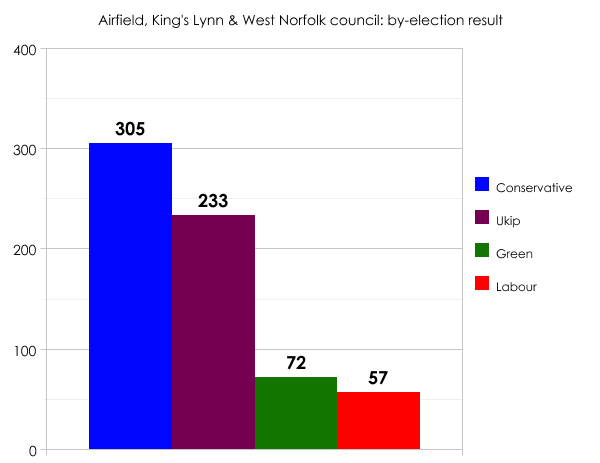 The Greens may have owed their 2011 win to the Tories’ failure to field a candidate for the ward. We had a contest in Scotland this week, for the Oban North and Lorn division of Argyll and Bute council. The single transferable vote (STV) system is used for elections to councils in Scotland. Once the votes were counted and distributed in this contest, the result was a loss for the SNP to an independent. There was also a swing from the SNP to the Tories of 7.7%. The council, like many in Scotland, is in no overall control with the independent group having the largest number of councillors. Meanwhile there was no change in the three other contests that were held on Thursday. 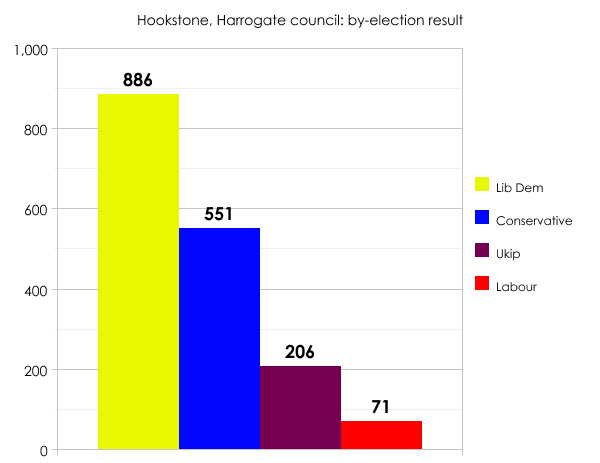 Liberal Democrat candidates retained two previously marginal seats on the Tory-run East Dorset and Harrogate councils. 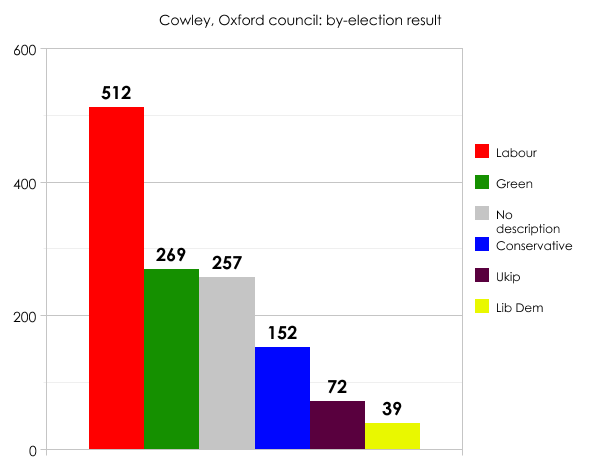 Oxford is a Labour-run council; the party bumped up its majority from 12 to 18 in May’s local elections. In the seven by-elections it fought this week, Ukip averaged 16.7%. Analysis of five comparable results suggests a nationwide lead for Labour over the Tories of 2.6 percentage points. And a calculation based on four wards fought both times by all three major parties gives a line-up of Labour 35.9%, Conservative 32.8%, Liberal Democrat 16.2%.